Let’s face it — spillage is inevitable in any household. From hosting a party with red wine to letting your little one take the reign with the art supplies – carpet stains might be a regular occurrence in your home. Luckily there are a number of homemade solutions that will not only lift the stain but will also help you avoid the need to introduce harsh chemicals into your home. 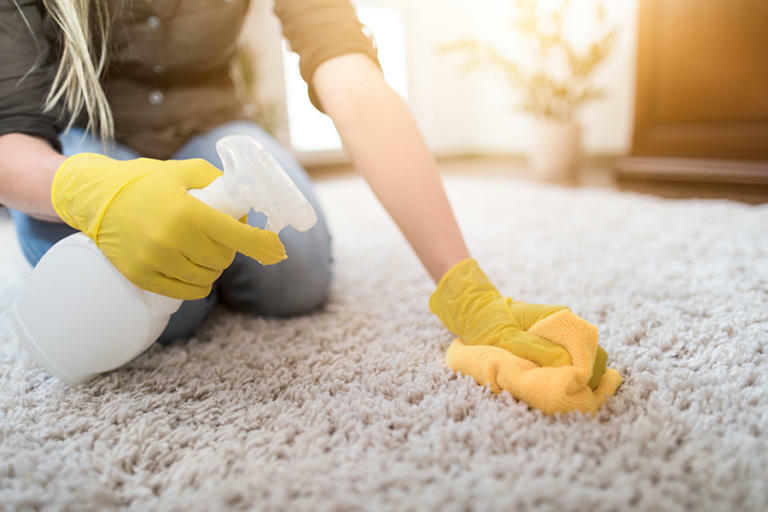 Your Best Digs recently shared 10 ways that you can remove all different types of carpet stains with items that you have around your houses such as vinegar, honey, and baking soda. Many of these cleaners can be made ahead of time and kept in an empty spray bottle. The quicker you use the solution, the easier it will be to remove the stain. Which hack will you try?